Recording music on a computer works differently from analog recording. 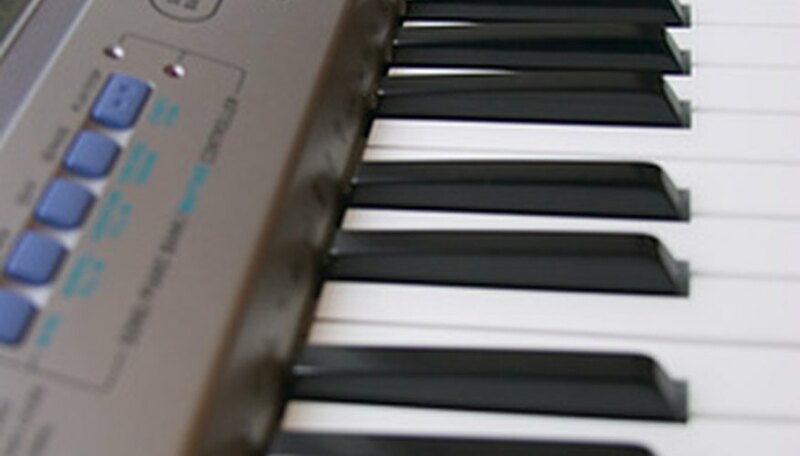 The notes played with a Musical Instrument Digital Interface (MIDI) controller are usually sent to the computer with a USB interface. The computer has to process the information from the USB interface into the recording. The information is processed again to send as an audio signal through the speakers, so the recording musician can hear what he or she is playing. This is not an instantaneous process. The delay between the musician pressing a key on the MIDI controller and hearing the sound from the speaker is referred to as latency. Latency while recording music is a result of the process involved with using a MIDI controller with a USB interface. The user presses a key on the MIDI controller to create a note. The MIDI controller sends an electrical signal indicating what note is played. On MIDI controllers with velocity sensors, the controller also records how much pressure the musician uses on the key. This pressure is used to determine the “velocity” of the note, which controls how loud the note is when played. Both of these values are sent from the MIDI controller to the USB interface. MIDI controllers do not actually create sound themselves. The USB interface is primarily designed to translate the signal from the MIDI controller to a signal that can be sent to a computer through a USB port. Some models have additional features, but this is still the primary purpose. The role of the USB interface is simply to move the signal from the MIDI controller to the recording program on the computer. Most of the latency from MIDI to USB music recording comes from the computer. The computer uses a recording program to save the notes the MIDI controller plays. The program records the note, velocity and duration of each key the musician presses. This is stored on the program for later playback. The computer also has a program to translate a MIDI signal into audible sound. The computer uses this program to play the note through the speakers so the musician hears what he or she is playing. The time delay can vary significantly based on the USB interface, recording program, computer specifications and settings. You can never fully remove latency from MIDI to USB when recording because of the need for the computer to process the signal. Ideally, the latency should be less than a millisecond. In that case, it is so low that it is negligible. However, sometimes the latency is so high that it causes a noticeable delay between pressing a key on the MIDI controller and hearing it on the speaker. Reduce latency by increasing the specifications of the computer used for recording music. More random-access memory (RAM) and processing power decreases the amount of time the computer needs to process the MIDI-to-USB signal. This directly decreases the latency. Some USB interfaces cause a more noticeable time delay than others, so also use a higher quality interface to reduce latency. The Whippin Post: MIDI Latency and Audio Latency &ndash; What Is It?